Practice #2: Don’t tell jokes in public at other people’s expense. Pecong has no place in the Jamaican workplace. It is a dangerous practice in this environment, to be used only in private, and only with the closest of friends. Never use humour to pull people down, or to give any kind of feedback, even jokingly. A Trinidadian manager is better off practicing jokes at their own expense. Jamaicans will expect a manager to always be the manager — 24 hours a day, 7 days a week. They don’t expect them to behave, dress, socialize or drink differently after hours, on weekends, on holidays or at parties. It is better to play ignorant, and ask for help about how to interact with people in a new social environment. If there were ever a “History of Jamaican Workplaces” book written, the dominant themes would be force and exploitation. The idea that a company exists primarily to enrich its shareholders is one that is simply unacceptable. A Trinidadian manager must learn that a Jamaican company exists for everyone in society and in the community. Practice #2: Give gifts to employees at Christmas and Easter time, and create programmes to assist employees’ families that are well publicized. This is not to say that the hierarchy should be maintained forever. Instead, it should be abandoned only slowly, and carefully, as the manager transforms his relationship with the workers. 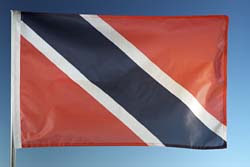 It often takes longer than the Trinidadian manager thinks it should, but once the foundation is built, he/she will frequently find that the depth of loyalty that’s generated is deeper than they found in Trinidad. Practice #2:Break instructions down into the simplest details, and be ready to follow-up intensely. The average workers education level in Trinidad is much higher, and it shows. One manager’s habits and style may not work for another. Each manager must develop their own style, and experiment with different approaches until they find one that works for them. This takes some willingness to feel uncomfortable as they adapt practices that might be laughed at in Trinidad. Many of these practices will feel unnatural at first, and would fail miserably if attempted in Trinidad. The point is that they work here in Jamaica, and they are exaggerated somewhat in order to provoke a Trinidadian manager into a different mode of action. The mistake that many Trinis make is to assume “all a we is one” when in fact the workplaces in both countries are very different. Many of the ideas in this article were developed from the Caribbean Acquisition Project and the book “Why Workers Won’t Work” by Kenneth Carter. They are available as downloads from the Framework website (http://www.fwconsulting.com).